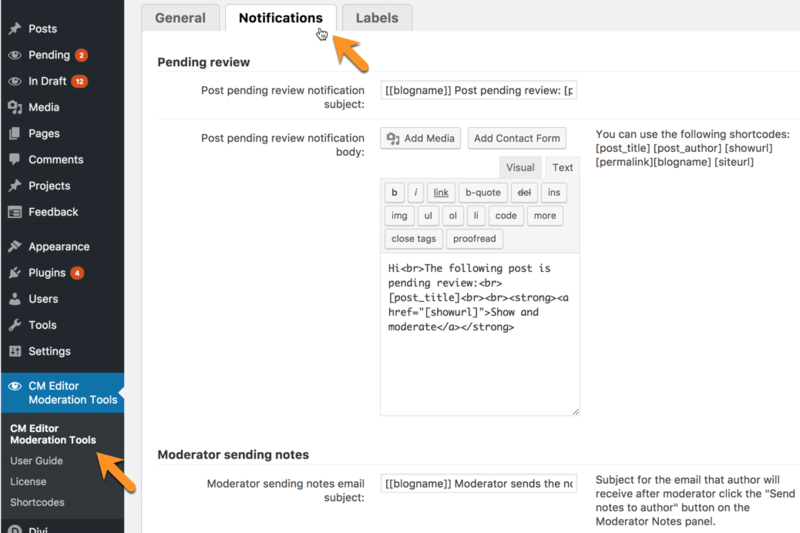 Can the plugin send emails automatically when posts have been submitted for moderation? Yes! 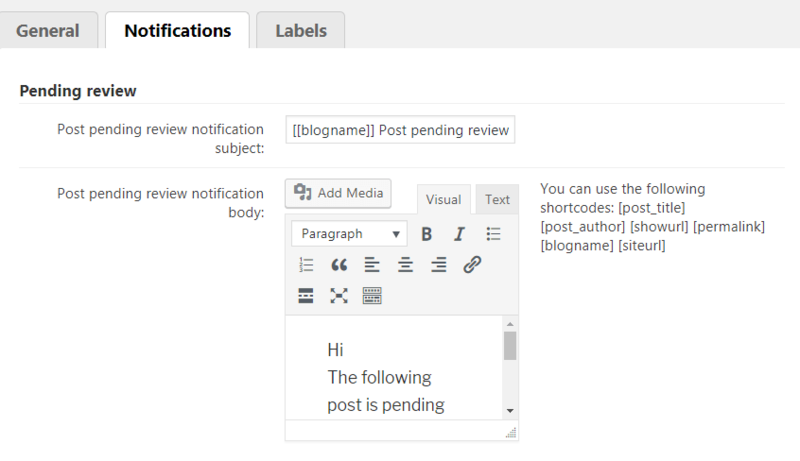 There is a notification feature built into the Plugin that will inform the admins of new posts that are pending review. 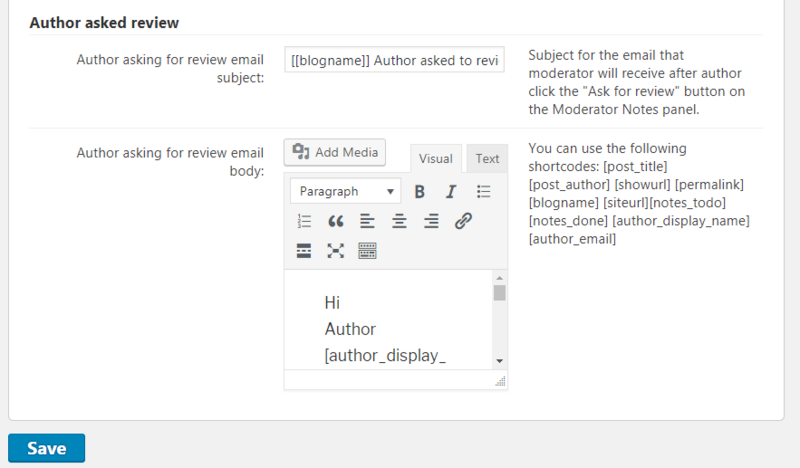 The email can also include a link to bring the Moderator straight to the post to begin reviewing. Can notification emails that are sent be customized? Yes, the notification emails that are sent are fully customizable. 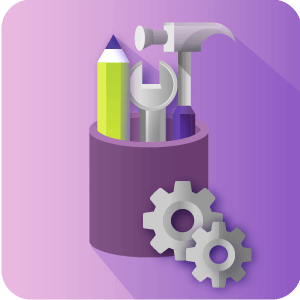 They can be made with HTML or a visual editor and can contain shortcodes to make their content dynamic. 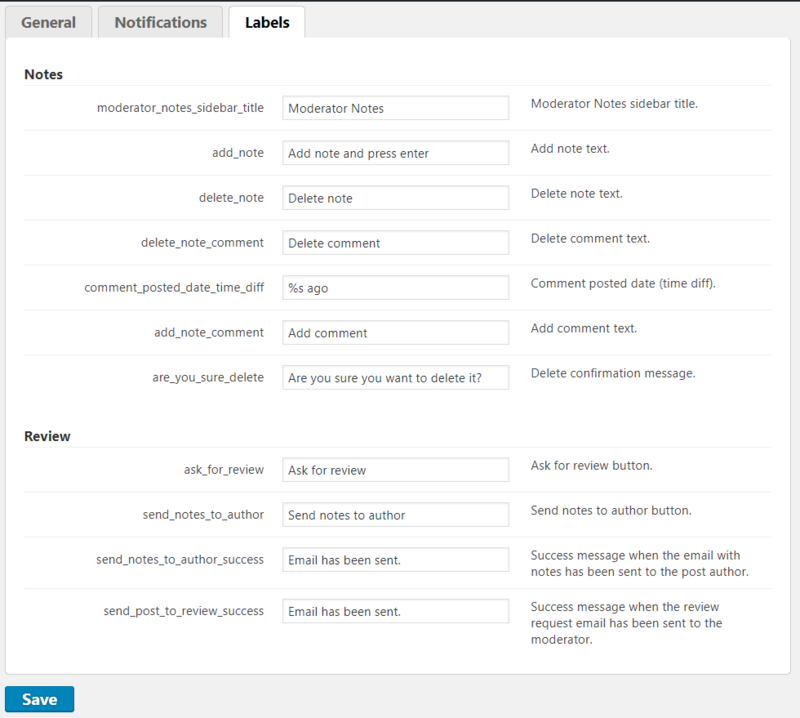 To learn more about customizing the notification emails, check out this Help article. 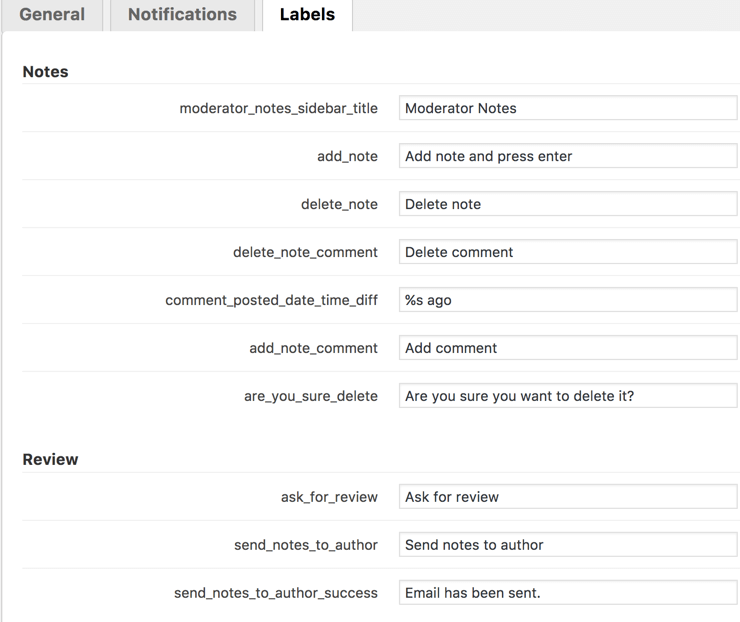 Does the Admin have to log into the WordPress dashboard to review posted comments? Yes, the Admin or Moderator will have to be logged in to be able to view the draft post and comments posted. 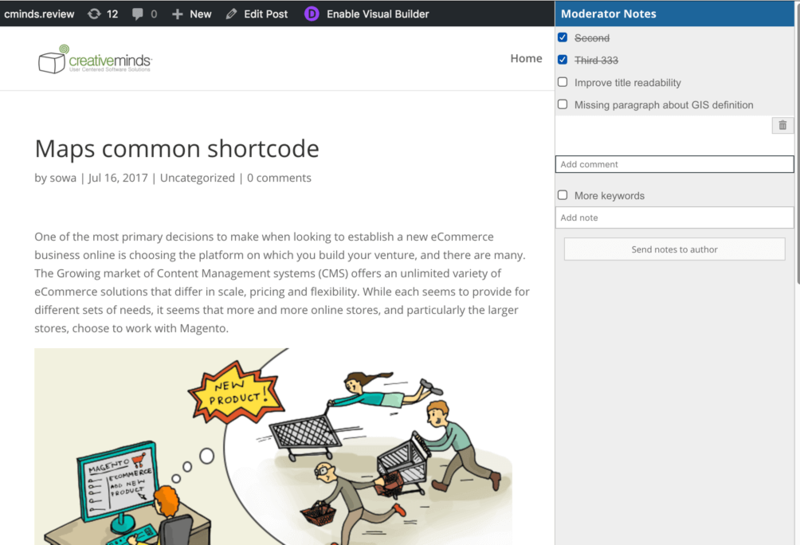 Posts are not displayed on the front end of the site by default on WordPress until their status is changed to Published. Are Administrators the only Users that can act as Moderators with this Plugin? No, the Administrator can delegate other user Roles on the site to be Moderators as well. Keep in mind that some user roles have more limited capacities for Publishing posts and may be restricted to leaving remarks for the author to use to make changes, but may not be able to publish. Is there any way to separate posts awaiting review from regular posts easily? Yes there is. 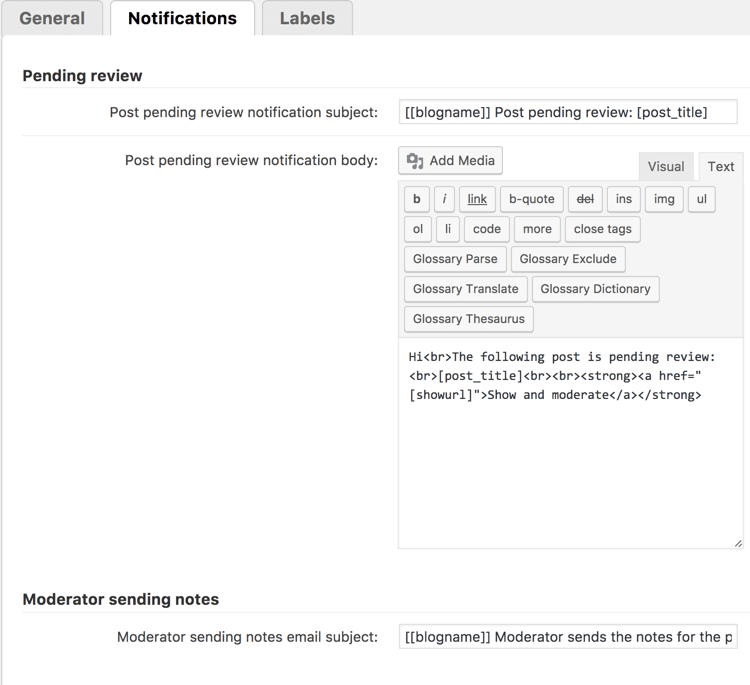 The Editor Moderation plugin comes with a Moderation Dashboard, which simplifies this process by aggregating all content that is awaiting moderation into one place. 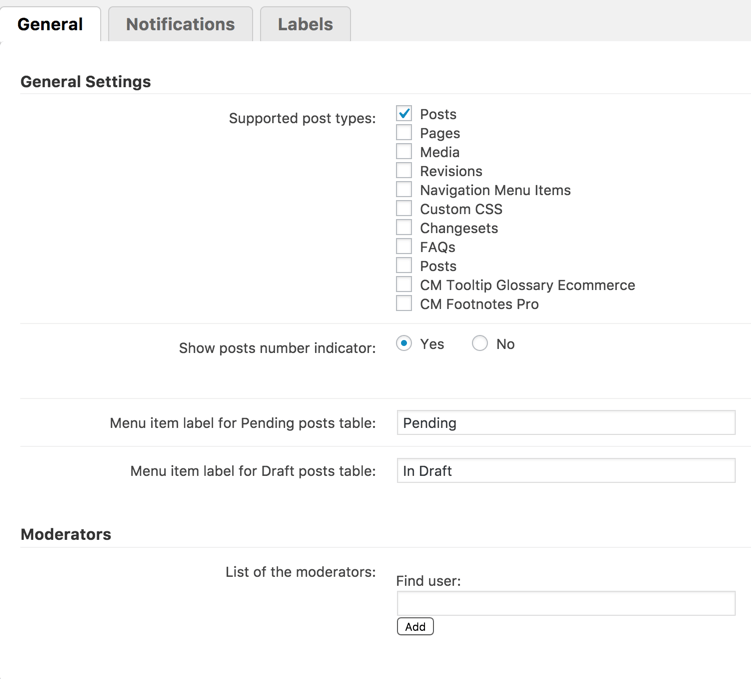 To learn more about the Moderation Dashboard see this Help article. 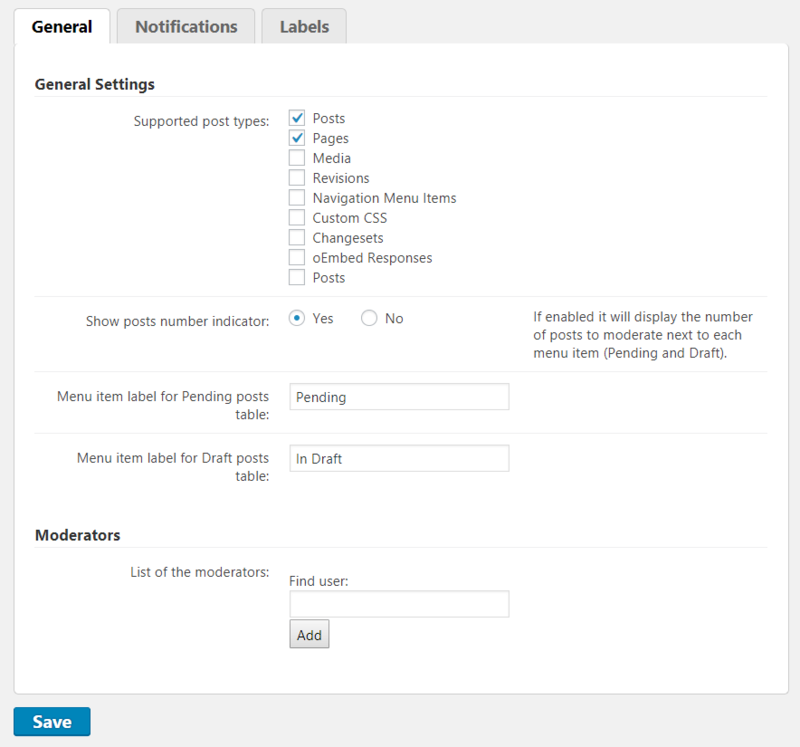 Added separate option to choose post types for the dashboard page and the moderator notes sidebar. 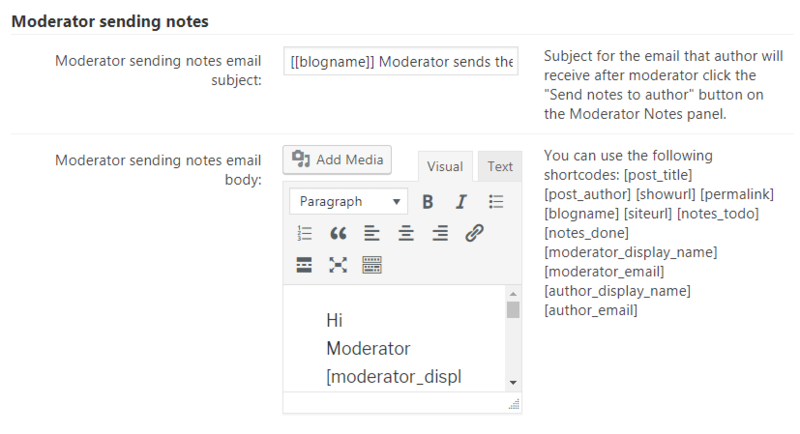 Added option to choose post statuses separate for the dashboard page and the moderator notes sidebar.